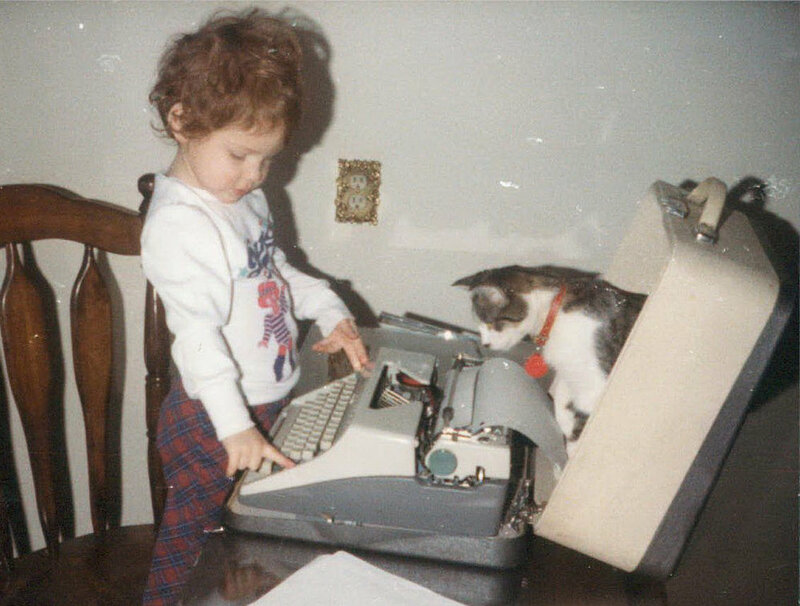 Before cats took over the internet, they were already all up in our typewriters. I always loved to create. Writing, drawing, coding... I feel the most in flow when I am creating something. I used to love flying because of all the idle time. There was so much I could get done in those airport hours! Or staying up at night working on a new website and seeing the sun come up. Me + my desk + my headphones + a coffee = my bliss. At least, I used to feel this way. 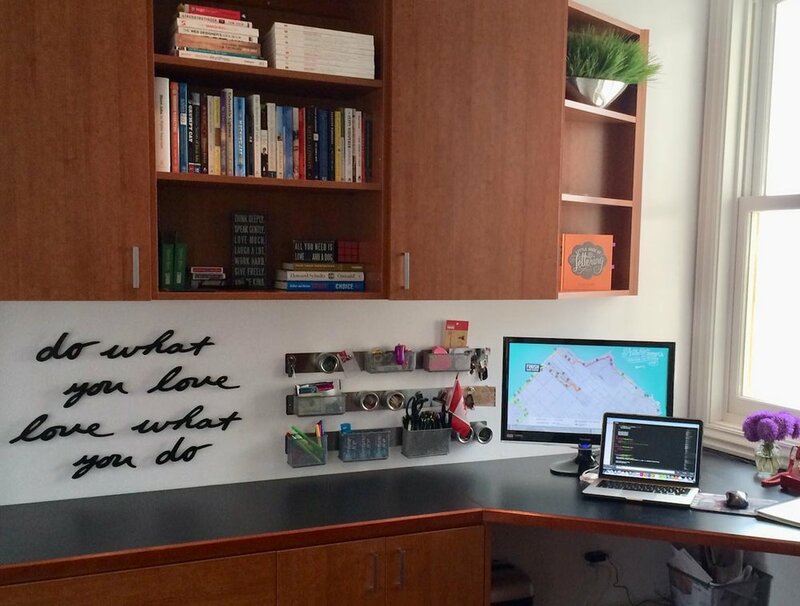 My office in SF used to be my happy place. The problem with having 2 really young kids is that I basically have stopped creating. I am busy all the time - cleaning, cooking, potty training, feeding, burping - and yet if you asked me "What did you do today?" my eyes will glaze over and I won't have a good answer for you. Not that I don't love my kids, they are my whole world! But it's so easy to get caught up in the day to day of being a mom that I am losing myself and the things that I used to love. The things that make me who I am. I'm not pushing myself anymore. My babies! The best thing I have created in a looooong time! So yesterday I had a thought. Why not institute weekly creative sprints where I have a project that I want to accomplish and a deadline to adhere to? What if I held myself accountable to being creative - not just in this blog which has no readers but to actual live humans? This project is inspired by an amazing quote from the Minimalist Podcast that really stuck with me. "The more you consume, the less you create." Like all of us, I have down time that I waste staring at my phone and reading articles that don't really interest me only to forget them 15 minutes later. What if I spent those lost hours flexing my creative muscles? In literally ANY way... writing a children's book, creating a brand strategy, editing a video, painting a picture, anywhere along the spectrum of "I made this" would be success. Here's a caveat: I'm not promising any of it will be any good. Ira Glass tells us that to close the gap between our ambitions and our output we need to create a huge volume of work. Some it will definitely be crap. But it will be my crap. I deal with crap all day (literal poop), so some of it may as well be mine (theoretical poop). Starting next Monday I will be documenting my progress week by week. I will propose the idea on Monday and then upload the final product by Sunday night. And now, let the wild rumpus start! !